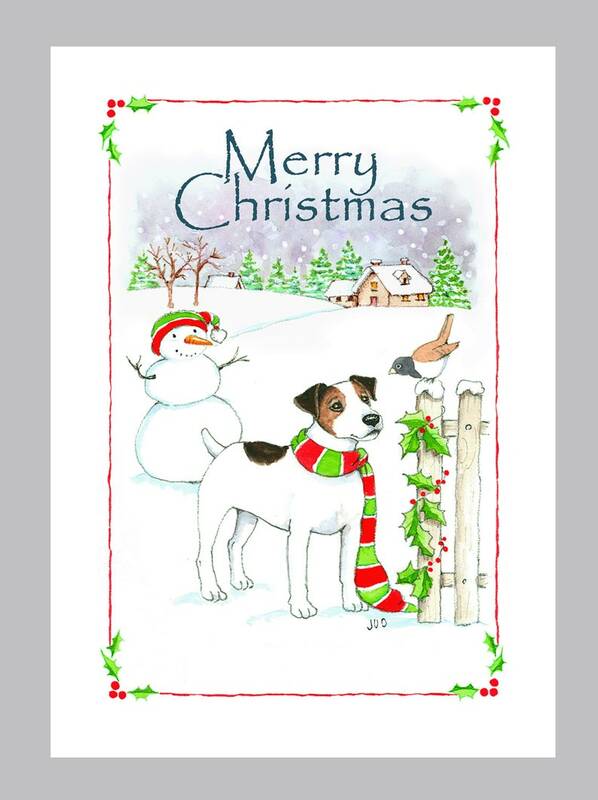 A Jack Russell Terrier celebrates Christmas with friends. Box of 16 Cards, 5" x 7" & 16 White Envelops, Inside - "Wishing You Joy this Holiday Season!" This is from my original watercolor illustration, printed on white 110 lb index paper, green Seal Certified, Recycled paper. Printed in Oregon, U.S.A.